At Yavneh campers develop deep love and appreciation for the place of Israel in contemporary Jewish life. We believe that there is no greater gift than an immersive leadership seminar in Israel. 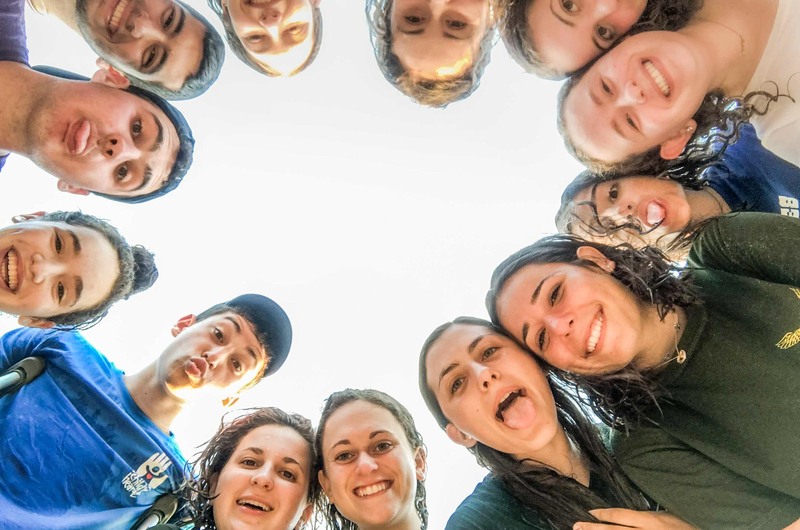 Since 1995, Na'aleh is Camp Yavneh’s capstone leadership summer seminar. Keshet Educational Tours in Israel partners with Yavneh to offer an immersive educational experience to enhance our campers’ Jewish personal growth, foster a love of Israel, and develop their potential as future leaders of the Jewish community. Campers learn about the complexities of life in Israel, spend time in different communities, and learn from people from a range of backgrounds and perspectives. Yesterday walking though the Jewish quarter, a large bunch of boys were walking as a group singing, dancing and clapping their way to the Kotel – It was loud, joyous singing that has its own energy. My son Jacob turned to us and said “that is how Shabbat is at Camp Yavneh”.” And that’s why I send my son to Yavneh! We know that rising seniors have many choices about how to spend the summer before applying to college. The pressure to “build a resume” is stronger than ever. We have designed Na’aleh with this in mind – to give participants opportunities to meet with those in Israel on the cutting edge of society, change makers, and creative leaders who are making a difference in Israeli and Diaspora Jewry. We intentionally keep Na’aleh small so that we can go to places, meet with people, and do things that larger groups just can’t do. Learn about kibbutz and moshav life by spending time with a host family. Address the important role that environmental issues play in the geopolitics of the region by focusing on water issues. Visit the Knesset and Supreme Court to learn firsthand about Israel’s political system. Discuss the careful balance between Israel’s Jewish and democratic identity by meeting with representatives of different organizations working to improve society, and meet with a range of groups and individuals who constitute the diversity of social, religious, and political life. Begin to understand the richness of the many peoples that call Israel home by interacting with the different cultures of Israel. Visit with African migrant workers and refugees in Tel Aviv to address the migrant experience. Challenge participants physically and in terms of leadership through a series of tiyulum (hikes) in the Negev desert. Develop a more nuanced understanding of the various political and security dynamics involved in the Conflict. Na’aleh is a multi-faceted leadership and learning program that provides participants with a continuation of the Yavneh’s Klal Yisrael view on Judaism and Israel. Campers immerse themselves into the society and people of Israel through travel, lectures, volunteer sessions and other hands-on experiences. Dynamic tour leaders are selected for their ability to bring the sights, depths and nuances of Israel to life, leaving participants yearning for what the next day has to offer. Na’aleh is open to Yavneh campers who have completed 11th grade. Na’aleh is intended for teens who want to expand their Jewish identity, deepen their knowledge of Israel, and improve their facility in modern Hebrew. Participants will observe Kashrut and Shabbat, and pray and study daily. For more info email Bil Zarch. Na’aleh was such an amazing experience. It was the perfect balance of tourism and educational activities. The activities we did were a blast, but also very intellectually stimulating. I am so glad I decided to go on the trip. It’s truly a leadership and bonding experience that drew us closer to each other and to Israel. Thank you again for the best summer of my life.